This double lane slide is 18' wide by 23' long by 16' high. The weight is about 430 pounds. 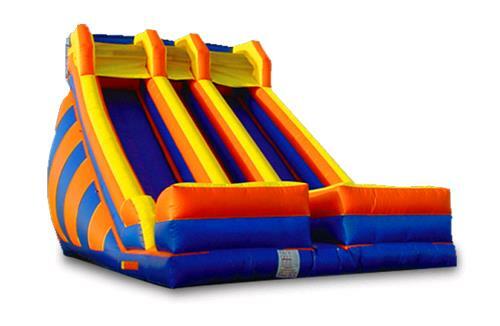 * Please call us for any questions on our bouncer super slide rentals in St. Helens OR, Scappoose and the South Columbia County area.